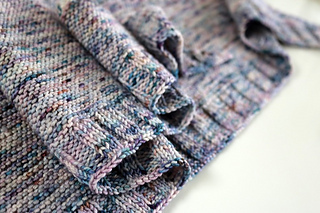 Drift away into calmness with the relaxing rhythm of soothing rows of garter garter stitch. A nice and simple make with something just a little bit different at the end for a clean finish. 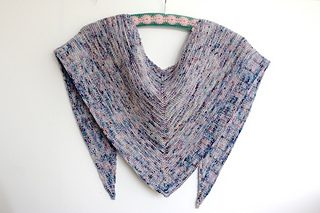 A full and clearly written pattern for an easy knitted triangular shawl. 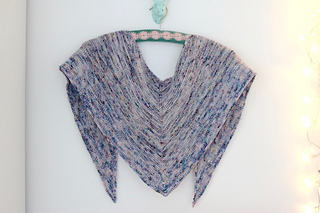 A simple pattern that would work well as an introduction to knitting shawls. 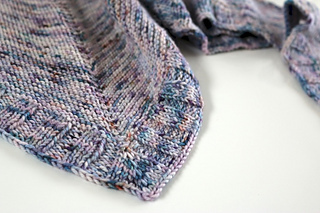 Attention to stitch count is needed for setting up the border pattern, but help is provided to help you stay on track. 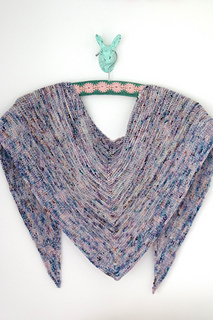 Or approximately 500 yards of a DK weight yarn in a merino or wool blend of your choice.